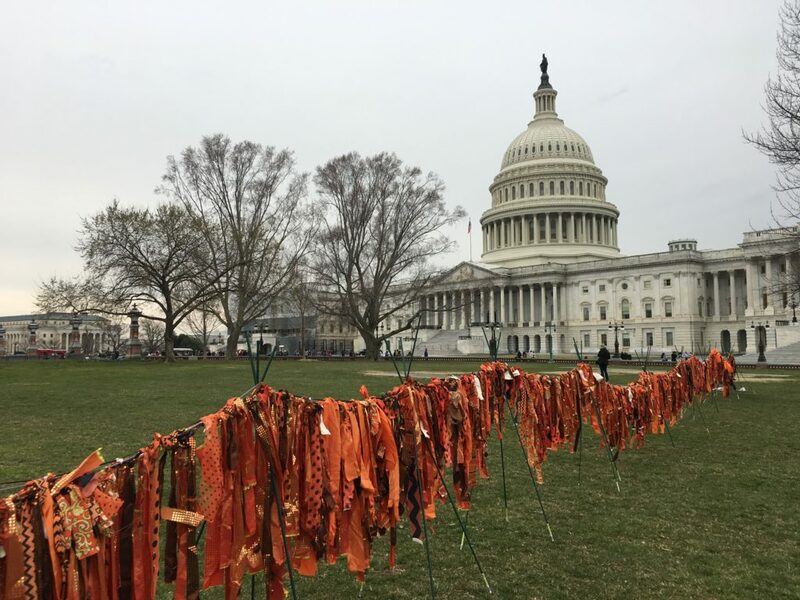 Jacqueline von Edelberg created a striking installation on the lawn of the U.S. Capitol on Monday, March 25. 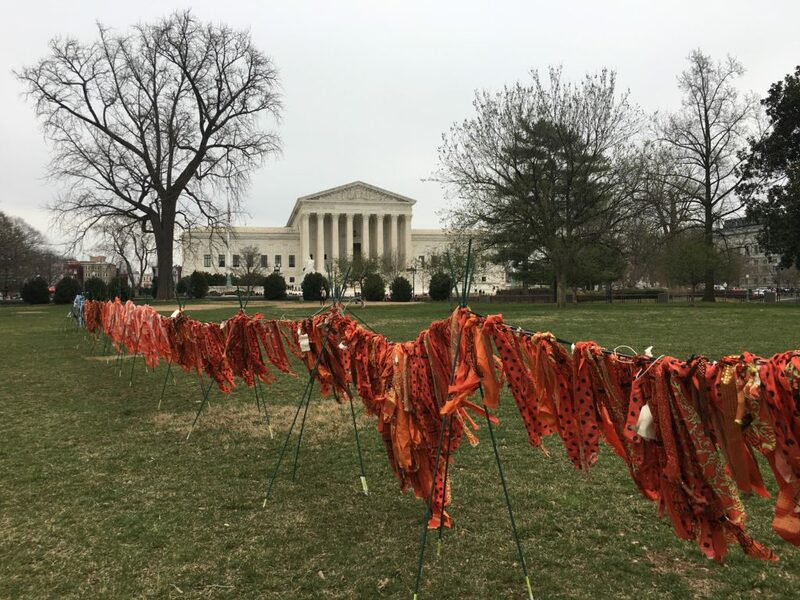 Each strip of cloth represents one child killed by a gun in the U.S. since the Sandy Hook massacre in 2012, 13,000 in all. The installation served as a backdrop for a rally commemorating the one year anniversary of the March For Our Lives. 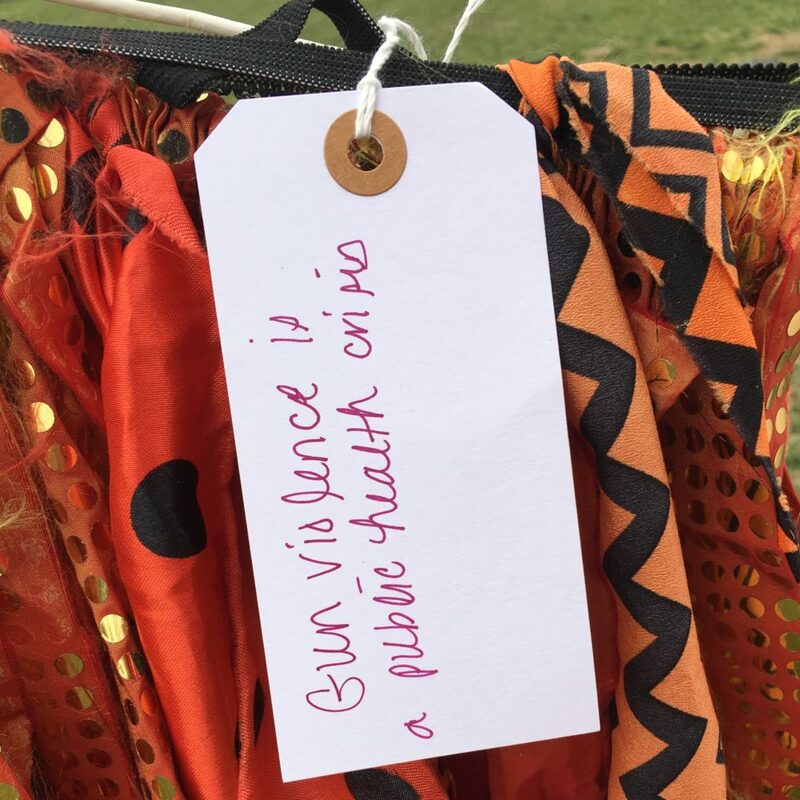 I was there as a volunteer for Moms Demand Action for Gun Sense in America and helped to invite passersby to write a note and tie it to the cord. I love how the artist drew people into conversation with the piece, giving them a chance to participate, whether they were activists or tourists (and a few tourists became activists on the spot, putting on “Lives Over Profits” t-shirts and joining the rally). This is how art can draw people into public conversations about challenging issues. This, too, is health data. A visual reminder of each life lost. An interview with Michael Siegel, MD, a Boston University School of Public Health professor who analyzed the impact of firearm laws in all 50 states. Full study (sadly behind a pay wall): “The Impact of State Firearm Laws on Homicide and Suicide Deaths in the USA, 1991–2016: a Panel Study” by Siegel, M., Pahn, M., Xuan, Z. et al. Journal of General Internal Medicine (2019). Featured image: My snapshot of one of the cards tied to the installation. For those who may not be familiar with the buildings: the top image shows the dome of the U.S. Capitol, the bottom image shows the U.S. Supreme Court.